Majick Intention Candles - LIVE, BELIEVE, INSPIRE. 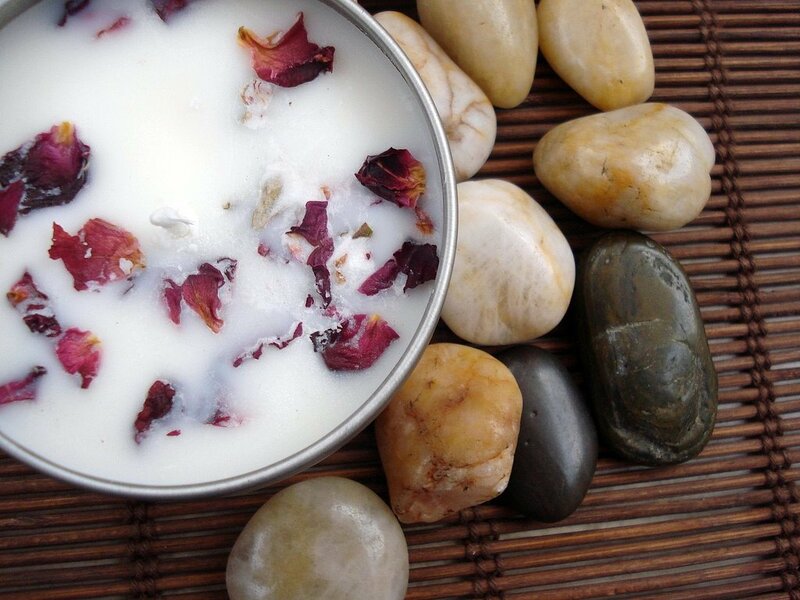 ​mixed with semi precious gemstones and infused with Organic Essential Oils & Herbs or Flowers. Candles have been used for metaphysical purposes, candle healing and religion for as long as fire has been around. Burning candles, when combined with prayers and intentions, can have a profound influence in your life. White Sage herb/Pyrite crystals infused with Essential Oils. These candles clear away negative energies. Intended to replace negativity with Love, Light, and Positive Energy. Pyrite is a protective, shielding stone. 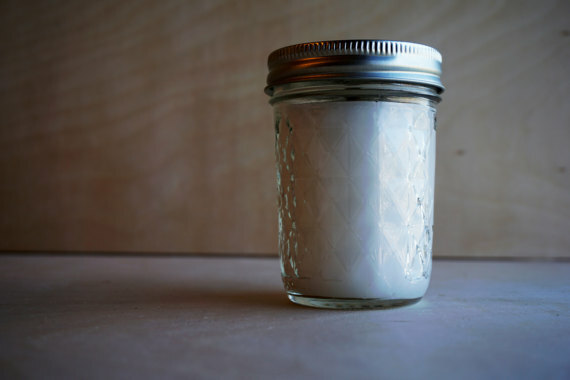 $25.00 - jars vary in size, shape and color as I always use reusable substances to contribute to nurturing our environment. Organic Lavender & Organic Soy or Beeswax Infused Intention Candles made with Essential Oils and Semi precious gemstones. Research has revealed that the essential oil / herb of lavender may be useful for treating anxiety, depression, insomnia, and restlessness. 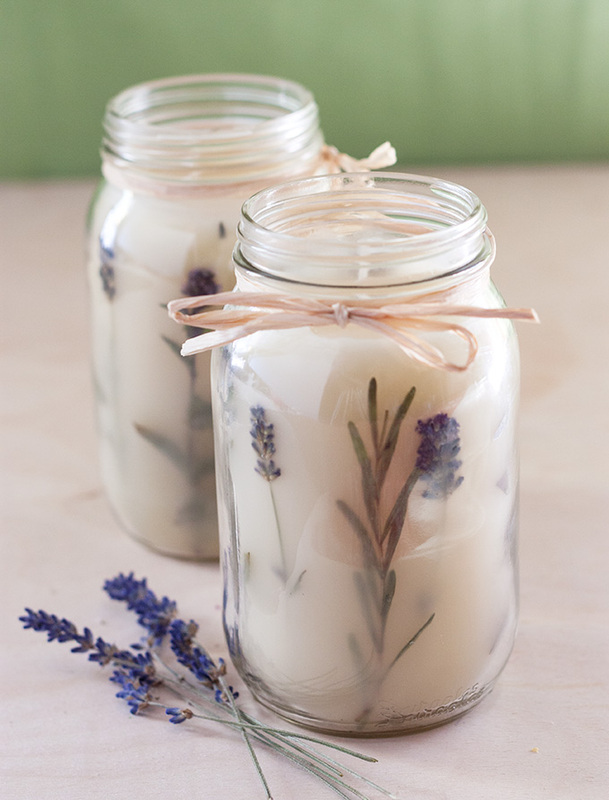 Lavender is often used to promote rest, bring on sleep and a feeling of happiness. It also helps reduce the symptoms of migraine headaches. The relaxing scent of lavender makes it a great aromatherapy for people suffering from depression. A refreshing blast of peppermint! Great for any time of the year! Peppermint is known for its ability to soothe you and help you to relax. 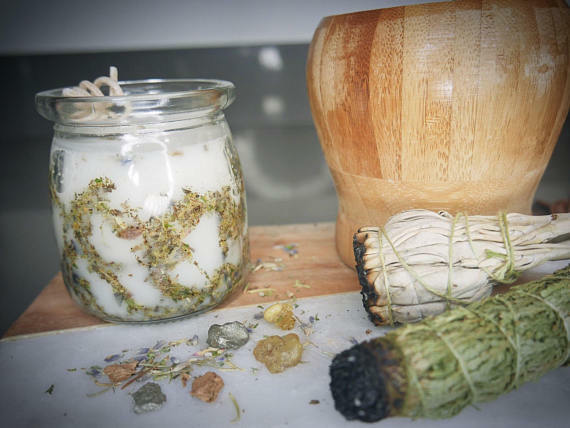 It'll help you to open up your sinuses with a burst of it's fresh coolness and ease your headaches.This candle has fresh peppermint herbs and essential oils infused into it. 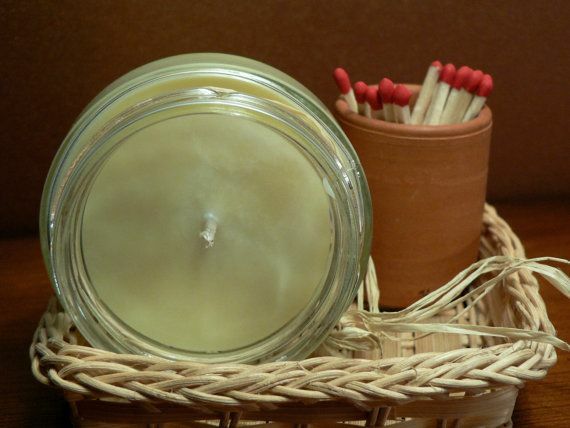 This candles comes in Soy or Beeswax / 100% organic fresh Jasmin dried flowers and organic Essential Oils make this candle so darn sweet and refreshing. Jasmine is commonly used to attract things. Most use it for love spells but also for prosperity. It is extremely helpful in divination and more particularly in dream magic or dream travel. ​18 oz candle. Comes gift wrapped. Rose buds - Often used in work involving love, this magic herb is also good for delving into mysteries both spiritual and otherwise; its petals represent the layers of knowledge gained. It is the perfume of Netzach in the Kabbalistic Tree of Life, and it is a traditional help in dreamwork.